Looking for the best place to retire? Many seniors are attracted to Troy NY for its access to high-quality healthcare services and endless things to do, but affordable public transportation and post-retirement job opportunities are also high on the list. Find out why Troy NY is a top choice among retirees. Seniors in Troy NY have access to not just one, but three local hospitals. St. Mary’s Hospital, located on Massachusetts Avenue in Troy, is a state-of-the art ambulatory center offering a wide range of outpatient services, including urgent care, women’s imaging, wound care, podiatry, incontinence treatment and physical therapy. Also located in Troy, Samaritan Hospital provides seniors with a host of surgical services, as well as cancer treatment and cardiac and vascular care in a modern inpatient facility. In the nearby city of Albany, the ACE Center (Acute Care for Elders) at Albany Memorial Hospital provides specialized medical care tailored to the needs of seniors. With more than a dozen annual events, there’s no shortage of things to do in Troy. Check out the Troy River Fest for family-oriented arts and crafts in the scenic historic district, or enjoy the Victorian Stroll in December. Foodies can sample the area’s best barbecue at the annual Troy Pig out, or head downtown for Chowderfest. Troy’s Waterfront Farmer’s Market is held every Saturday from 9-2 and features nearly 100 local farmers and fresh food vendors. And if you’re a music lover, you won’t want to miss Rockin’ on the River, a free, outdoor concert series held every Wednesday evening from June 18 through August 27. Whether you are looking for fine dining or a simple wood fired pizza, Troy has hundreds of restaurants and eateries for nearly every culinary taste and budget. American, Italian, Greek, Indian, Chinese – it’s all here. A bustling metropolitan area, Troy is also home to hundreds of shops and stores. From name brand retailers to local mom and pop boutiques, you’ll find everything you need, and more, in Troy’s business district. The Troy Music Hall, now known as the Troy Savings Bank Music Hall, is a concert and performance center in Troy NY. Renowned for its amazing acoustics and Odell concert organ, the music hall was originally founded in 1823, and moved to its current location in 1870. While the hall attracts music lovers of all ages, it is particularly popular with Troy’s senior community. The annual calendar of events includes a variety of musical performances by world-renowned artists, as well as the free Music at Noon Concert series on the second Tuesday of each month from October to June. The Troy Public Library is located on Second Street in downtown Troy, and its Lansingburgh branch is located on 114th Street. Seniors can obtain a library card at either location with two forms of identification, and the cards can be used at any of the 29 libraries in the Upper Hudson Library System. In addition to books, research materials, magazines, ebooks and audiobooks, library patrons have access to two genealogy research databases and a valuable collection of local history documents. The library also purchases passes to a number of Troy museums, which they will loan to patrons for a period of three days. Troy has a rich history, and is home to a number of museums and historical sites. Spend a day with the grandkids at the Children’s Museum of Science & Technology or the Museum of Science and Innovation in nearby Schenectady. Organize a tour of the Hart-Cluett Mansion for your senior group, and learn about the history of the regional iron industry at Burden Iron Works. Troy is a religiously diverse community that caters to all religious denominations with numerous Orthodox, Catholic and Protestant churches, as well as three synagogues and one mosque. Several of the churches even have a concentrated collection of Tiffany stained glass windows, including one over the altar at St. Paul’s Episcopal Church. Troy is also home to two Catholic high schools, La Salle Institute and Catholic Central High School. The Troy Area Senior Service Center is located on Third Street in Troy and offers seniors an abundance of services and activities including Aerobics, Pinochle, Knitting & Crocheting, Card Games, Bingo, Crafts, Pokeno, Line Dancing and Bible Study. 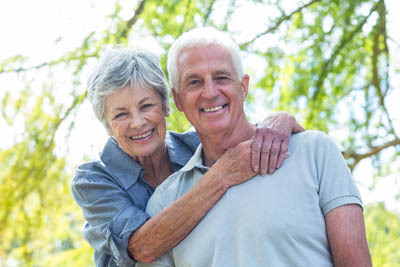 In addition, the Rensselaer County Department of the Aging provides a network of supportive and preventative services to enable the County’s elderly to live productively and independently within the community. Whether you’re planning to travel or you’re simply concerned with accessibility to out-of-town family and friends, Troy NY is a great place to retire. Just two and a half hours north of New York City and only three hours from Boston and Montreal by car, Troy is close to many major cities in the Northeast. Amtrak train service is available out of the Albany-Rensselaer station and Albany International Airport is less than a 20-minute drive. For transportation around town and throughout the Albany Capital region, seniors over age 65 receive a discounted rate for the Capital District Transportation Authority (CDTA) bus service. According to AARP, college-towns have become the go-to destination for many retirees due to the abundance of post-retirement job options and the increased cultural and learning opportunities. With three college campuses, including Rensselaer Polytechnic Institute (RPI), Russell Sage College and SUNY Hudson Valley Community College, Troy has become a hot spot for retirees. If you are thinking about retiring in upstate New York, check out Eddy Senior Living. The Beechwood at Eddy Memorial is the area’s premier retirement community for seniors in Troy NY. All of the one-bedroom and two-bedroom units in our senior living community feature fully equipped kitchens, individually controlled heating and air conditioning, on-site parking and storage, and unlimited opportunities for social activity. Learn more about our senior living community in Troy NY, or call (518) 280-8385 to request a tour.